2 “I am Jehovah your God who liberated you from your slavery in Egypt. 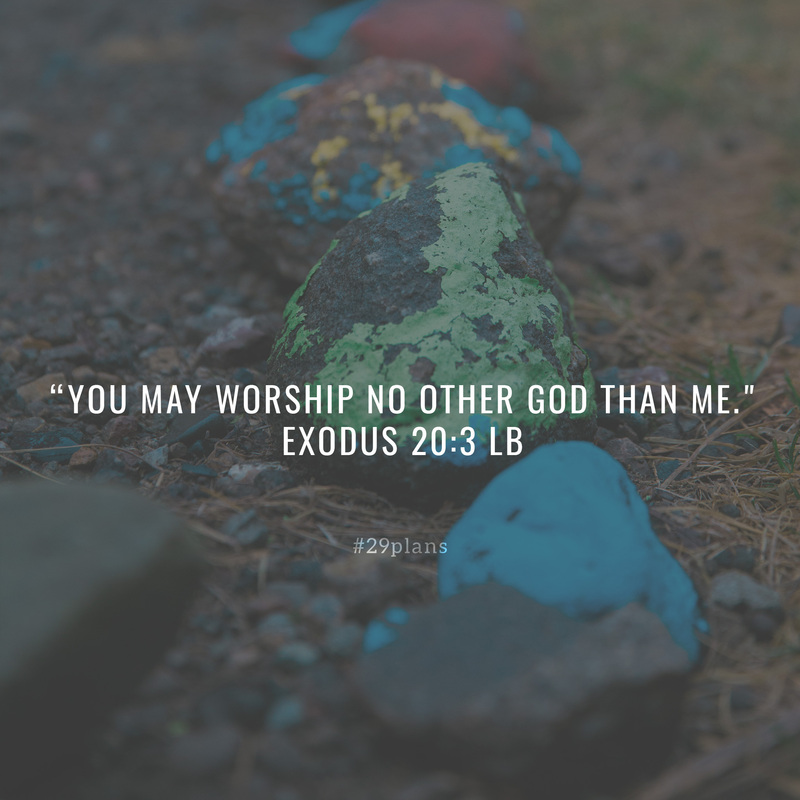 3 “You may worship no other god than me. 4 “You shall not make yourselves any idols: no images of animals, birds, or fish. 5 You must never bow or worship it in any way; for I, the Lord your God, am very possessive. I will not share your affection with any other god! “And when I punish people for their sins, the punishment continues upon the children, grandchildren, and great-grandchildren of those who hate me; 6 but I lavish my love upon thousands of those who love me and obey my commandments. 7 “You shall not use the name of Jehovah your God irreverently,[a] nor use it to swear to a falsehood. You will not escape punishment if you do. 12 “Honor your father and mother, that you may have a long, good life in the land the Lord your God will give you. 18 All the people saw the lightning and the smoke billowing from the mountain, and heard the thunder and the long, frightening trumpet blast; and they stood at a distance, shaking with fear. 21 As the people stood in the distance, Moses entered into the deep darkness where God was. 22 And the Lord told Moses to be his spokesman to the people of Israel. “You are witnesses to the fact that I have made known my will to you from heaven. 23 Remember, you must not make or worship idols made of silver or gold or of anything else! 24 “The altars you make for me must be simple altars of earth. Offer upon them your sacrifices to me—your burnt offerings and peace offerings of sheep and oxen. Build altars only where I tell you to, and I will come and bless you there. 25 You may also build altars from stone, but if you do, then use only uncut stones and boulders. Don’t chip or shape the stones with a tool, for that would make them unfit for my altar. 26 And don’t make steps for the altar, or someone might look up beneath the skirts of your clothing and see your nakedness. 11 and by that time Mary had returned to the tomb and was standing outside crying. And as she wept, she stooped and looked in 12 and saw two white-robed angels sitting at the head and foot of the place where the body of Jesus had been lying. 13 “Why are you crying?” the angels asked her. 14 She glanced over her shoulder and saw someone standing behind her. It was Jesus, but she didn’t recognize him! 16 “Mary!” Jesus said. She turned toward him. 9 And as they were running, suddenly Jesus was there in front of them! “Good morning!”[a] he said. And they fell to the ground before him, holding his feet and worshiping him. 11 As the women were on the way into the city, some of the Temple police who had been guarding the tomb went to the chief priests and told them what had happened. 12-13 A meeting of all the Jewish leaders was called, and it was decided to bribe the police to say they had all been asleep when Jesus’ disciples came during the night and stole his body. 15 So the police accepted the bribe and said what they were told to. Their story spread widely among the Jews and is still believed by them to this very day.